I was having one of my morning talk sessions with my fiancé this past weekend. I was questioning why even some friends seem to look away from cancerland. I mentioned how — just as one small example — when I share a meaningful video that educates about breast cancer on my personal facebook page, hardly any of my friends and family share it or even acknowledge it with a ‘like.’ I assume they don’t even watch it. I can’t deny that it hurts a little — not in a “you didn’t ‘like’ my facebook post” kind of way. It feels more like they are saying, “if you get diagnosed with stage 4, no matter what I do, you’ll die anyway.” It’s not like I am lecturing people everyday. My guy suggested that — as he well knows — maybe it is simply too painful for some people to expose themselves to cancer messages, when they already feel so powerless about it. I can understand that. Everyone wants me well, except that by looking the other way, the problem will not go away. There’s still a chance I could become metastatic. There is also a chance that the person ignoring this educational information will be diagnosed with breast cancer. I want to make it clear that I am not judging or blaming anyone for not wanting to be involved with cancer – trust me, I get it. But I feel a responsibility to share what I know as a way to help ALL of US. I’ve been giving a lot of thought about the way we separate ourselves from situations we want to avoid or don’t want to picture ourselves going through. I am aware this doesn’t apply to everyone. But I’m wondering if there’s also an issue with the way we communicate important facts. That perhaps the way we talk about cancer is contributing to the ‘separation’ between non-cancer society and cancerland. Although I know it is not the intention of the patient to overwhelm or mislead, I wonder if the language we use is part of the problem. Holley Kitchen, one of the most effective advocates for breast cancer I‘ve ever read, passed away last week. I couldn’t help noticing the consistency with which people described her contribution — how she did so much for the breast cancer metastatic community. But the truth is her advocacy did a lot for ALL of US — those who have been diagnosed with early-stage, those who haven’t been diagnosed with breast cancer yet, as well as their loved ones and even those who put up with us who are living with cancer. One reason why I have so much fear today, even after ‘catching my cancer early,’ is because I know if I get hit with a stage 4 diagnosis, my options will be very limited. This is why most of us are nervous and have a hard time with survivorship. People don’t want to hear or talk about this harsh reality, so it makes it difficult for us to interact with each other. Because of these uncertainties and fears, my state of mind isn’t very appealing to those who surround me. I become a blister and we know people don’t like having an exposed blister. This creates separation and isolation. It makes it hard for others to tolerate me because my world is very scary. It’s simply scary that metastatic breast cancer has very limited resources. We all fear dying from our cancer. I believe that if stage 4 had more treatment options and people could live longer lives with it, I don’t think I would be as anxious today. Survivorship would be easier because I would know I will have options — the way some earlier-stage people do. And in return, people would tolerate me better. Hey, I might not even talk about cancer as much! Imagine that, friends and family. I am not begging for help here. Most patients don’t like to be a burden to others. I usually just observe and wait for a response from others. But when I don’t get the reaction I want – what I measure as being cared for – I get disappointed. But even then I don’t express my disappointments. I stay quiet. So, although I might be setting myself up for more trouble, I am going to start having real conversations with people I know. I am going to emphasize the “we/us” aspect of the situation, rather than “me” — because the fact is, I am not just advocating for myself and other patients, I am also doing this for the rest of the population — even if they don’t see it. I am aware that the options I had when I was first facing cancer were not only thanks to the advancements in research, but also thanks to those who advocated for ALL of US years ago. I have wondered what if I had started to advocate a lot sooner. What if I haven’t waited until my diagnosis? Would that have made a difference with people’s attitudes (including my own)? Maybe I would have avoided some unfortunate interactions I had during my cancer, like having someone tell me my cancer happened to me for a reason. I often ask myself, what is it going to take for people to listen? For me, it took the death of family members to start getting involved. I understand that people don’t want to deal with cancer until they are forced to. I am not asking people to live in cancerland with me, but if you see an opportunity to learn and share information about something that might contribute to progress, please don’t ignore it. 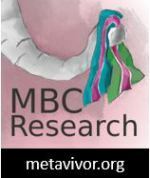 I shared about a few organizations that contribute to MBC research here. Please learn about them and mention to others. Metavivor is a great start. Please understand that metastatic breast cancer research will impact ALL of US. And every small contribution counts. I am not asking you to follow me around in cancerland. All I ask is that you don’t look the other way. This entry was posted in Awareness, Coping after cancer, Reflections, Support and tagged Denial, metastatic, mets. Bookmark the permalink. Have to get back to you on this but my first reaction is that cancer itself hasn’t reached a point where most people feel like they can do something about it. Racism had been like that, a kind of accepted reality or a natural artifact of human relations and it took people like Rosa Parks to “that’s enough” to demonstrate that change wasn’t really impossible. And no, racism isn’t gone but it’s no longer inevitable or taken as natural. This has something to do with commitment too. As in, “I can’t give myself to EVERY cause because I don’t want people’s expectations on me.” More later. Do you feel isolated by people’s lack of interest? Scott, that’s a good comparison you gave. I think one main issue is the fact that people feel powerless. We’ve been dealing with cancer for decades. I am sure some people think of it as “can’t avoid mortality people! so you might as well live your lives and be quiet”. I guess for the support aspect of it, it is important to me to receive some acknowledgment. And your idea of “commitment” is right on! How much can we really cover? (Eileen stated this idea below.) I don’t think my expectations are high though. I have this blog to express everything related to cancer and I don’t expect my love ones to read it. Outside of this blog, I don’t do a lot of ‘cancer talk’ (only at home) so it is a little discouraging that there’s no interest, and this is probably because they expect me to be done with cancer. And yes, I do feel a little isolated when people look the other way. But now you are making me think more about this “isolation” idea so I might need to come back to it. I always appreciate your insights. Thank you, Scott. And, on the issue of isolation, it came to me that the worst part at the end is releasing hold of the world. People shutting you out are like mini-goodbys that are entirely inappropriate while you are still HERE. This is a very hard thing for people to understand and could be why we send each off on their own. It really is more than some can handle. Sometimes isolation is a necessary tool for survivorship. this is unfortunately a common reaction; i sometime think that people, including myself, are so busy trying to get thru the day, with limited energy and resources while all the demands of daily life and the natural worries/wishes of life knocking on their doors constantly, that they do not want to hear “negative” things, even though things like cancer are so common and anytime anyone can get it.. It is frustrating but we must keep going. do not expect too much and do not give up. Yes, you are absolutely right. Life is so heavy as it is. I’ve also been guilty of looking the other way. Personally, I don’t expect people to live in cancerland with me. I don’t find myself talking about cancer all the time, really. I have this blog where I let everything out. Most of my friends and family members don’t read my blog and I am OK with that. But the few times I want to share something important, outside of this blog, I would want some acknowledgement from those closer to me. I was very very ignorant (from the word “ignore”) before I had cancer. First of all, I was certain breast cancer was cured all the time. In my precancer days, I didn’t want to hear about it either. I did get my mammograms but I NEVER checked my own breasts. It wouldn’t happen to me afterall. I even skipped a few years of mammograms, because I didn’t have any family history of breast cancer (and I didn’t need regular checks to get birth control prescriptions, having had a tubal ligation). In my presurvivor days, I could not imagine what on earth is “wrong” with that person who keeps worrying that it can come back? It won’t! So and so’s didn’t! Now I get it. I have experienced this frustration with some very close friends and I know not to discuss any fears I have with them because I know I will be dismissed with the usual “it’s gone now, get over it”. It hurts and I don’t want to be hurt. I bring it up only if it’s in context. 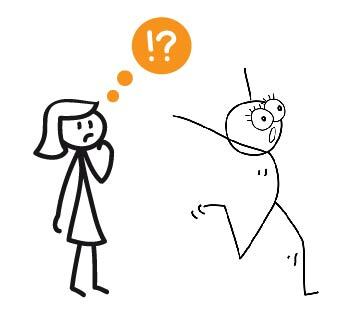 I volunteer and am active in the “cancer community”, but I don’t share much of that with them unless it is in the context of something like “where were you yesterday?” In hindsight, I didn’t learn anything or give a hoot about cancer until I had it. Then my husband had it (he’s ok). Then another friend had it, and now a very good friend became Stage IV breast cancer after 10 1/2 years! She was early stage, node negative. This really hit home hard. I’ve lost several friends from cancer since I’ve been diagnosed and each death hits harder because I know I’m not immune. People really don’t get that feeling and don’t want to hear about it. They’re really not very good friends if they don’t at least want to validate your feelings. I don’t know what the answer is about folks not listening or not hearing – I do think the message about early detection is well known and for the most part, taken seriously, but about life after cancer? I think that’s what we have each other for and we probably can’t expect someone who hasn’t been there to be very sympathetic – even if we think they should. Thank you for your honest comment. I can relate to a lot of what you say. I was ignorant before my family started to get diagnosed with cancers. But even then, I didn’t want to be too exposed with information because it was overwhelming, especially at my young age (hmmm…another topic for conversation: how different age groups react to cancer ). Plus I didn’t know how to interpret any of the information. I always thought cancer was one disease and one that kills. I have been thinking a lot about the “looking the other way” concept and I also think “denial” plays a role. Most people want to hold on to denial as long as they can. Makes life easier. The issue with this is the more we ignore, the more we prolong our pain. But we can’t force anyone to understand. We can only speak up. Excellent post, Rebecca. I think you’re right that many people are afraid and feel powerless against cancer and that’s why they may avoid facing issues that really should be of concern to all of us. It’s frustrating when people would rather look the other way. But it’s also kind of cool when you find someone who “gets it” even though they haven’t been impacted directly. I also think that often people are open to contributing for cancer research even if they don’t want to talk about it, and they we can make a difference by letting them know about worthwhile cancer charities as you are doing. Lisa, it is always pleasant to encounter people who get it. I am also grateful for those who contribute to research. I know this topic is complicated but it’s important to bring up once in a while. I realize this doesn’t just apply to cancer but other situations too. I also reminded myself not to look the other way. In my case, I just want a little acknowledgment from those closer to me. If you consider that there are so many different diseases, even different kinds of cancer. Then you add all the other problems in our world and the many special interest groups representing those causes, it can get really overwhelming. People can choose what calls to them, but it may not be our cause. They also need to enjoy life as best they can and engage in life affirming activities. If they choose to ignore our messages because they don’t need it right now, I think they’re better off for it. There’s not a whole lot they can do with the onslaught of information and if they are getting regular exams, their doctor will be there if they fall into the unfortunate situation where we’re at, which is being well-educated about this disease and ready to educate others. We’ll be there when and if they need us. Hi Eileen! I thought of that idea while I was writing this post. How I myself ignore many causes because 1) they haven’t directly affected me (yet) and 2) life is already heavy as it is. I guess I expect this reaction from strangers or people I am not closed to. I still get confused when the other group (close friends and family — not everyone) would rather not even hear me. There’s more to it than just watching/liking/sharing an important video. It’s the lack of interest altogether even with the knowledge that this has already impacted my life, and can also impact theirs, if they are family. At the same time I understand the need to just enjoy life while they don’t have to face any personal problems. I just wish I was not 100% ignored by the people who love me (I am aware this concept of “love” is also complicated and perhaps shouldn’t even be mentioned in this topic). And yes, we’ll be there if they ever need us. Reading your excellent post, and the comments has got me thinking. Of course I too did not give much thought to cancer prior to DX. I did give it some thought of course, because of all the family history–in fact I might have assumed I’d get cancer way down the road. But I did nor read articles or seek info online–mainly because I was busy with a job that meant ALL of my online time was devoted to the job. I didn’t check in with Facebook very often. So I have no idea what would’ve happened, for example, if I saw a video like Holley’s. Would I have hit like, or shared? But I admit I’ve been extremely frustrated with the fact that I know some people who liked Holley’s initial video, but could not seem to care less that she died (few notes on my rant about her death, on my personal page, all from cancer friends). So, to Eileen’s point–yes there can be caring-about-causes fatigue I suppose. But it is annoying that the general population is OK liking a viral video, but they never delve in any deeper. I guess I’m expressing frustration with slacktivism. And true, people do only tend to care about stuff that impacts them, but that is kind of one of the things about our culture that irritates me: the inability so many have to try and view an issue from another POV–even when that POV is being presented. For example, why is so hard for anyone to understand our fear of recurrence when we’ve explained and explained it? Or why so many of us find the ta-tas language offensive? (I’m thinking specifically of that because I am scheduled to see the person who thought it was “just me” who had the issue with it until I brandished my phone at her saying, no I knew many bloggers who hated it, and she changed her tune–I wrote an old post about that, I think). I’m rambling, but I do think this is a human failing, to just hit like and not think deeper about things, to constantly fail at even trying to consider others’ POV. Wendi, like you, I always knew I would be diagnosed eventually but denial is so strong it didn’t let me look deeper. Plus I was young. You’ve touched on a topic that I am not ready to talk about yet but one that’s interesting enough to explore — about those who react ‘for show’, if you know what I mean. There’s a lot to be said about that, except it is challenging to identify the ‘why’. I’ve even considered the idea that different age groups react differently and many people don’t come to the realization that it can happen to them until they’ve reached a certain level of experience (or exposure). As an illustration, I picture myself holding a child and forcing him to watch something he still doesn’t understand. The child will eventually walk away, and either move on, or be traumatized. But an adult can choose to walk away instead or they can choose to contribute. I believe there’s an issue about the way we view cancer. We can come up with so many reasons why people choose to look the other way, but there comes a point where we have to start questioning why and find ways to improve in order not to delay progress . I agree it is a human failing not to think deeper. But also,’ignoring’ has become a survivorship tool, and in a way, this has contributed to our current system/culture in cancerland and all the other lands. We are stuck. It is frustrating. Oh you know my thoughts on those who do things “for show” ha ha! Great post. And that is all I’m going to say on this one so I don’t put my foot in my mouth. Okay, I’ll say just one more thing after reading CC’s comment up there. Hitting the like button is not doing a whole lot. That’s true, but what about the people who don’t even bother to do that? And I’m talking about people who do supposedly care. Keep up the great writing! Nancy, I understand. What’s interesting in my case is that when I share other stuff, those get a lot more attention. Honestly, I am not into social media as much as others are (or to the point of feeling hurt because no one likes my posts). However, sharing something that contributes to keeping me alive is very important to me. When I am being ignored by those who call themselves friends or even family, it almost suggests something, even if that “something” isn’t their intention, their behavior still hurts. There needs to be more open conversations about that. It’s not about making people feel guilty or judging them. It’s more about creating a bridge for communication. I was hesitant to post about this topic, in fact, I sometimes worry my close friends and family will take everything I say personal. Everything I say here doesn’t apply to everyone. I urge my friends and family to approach me about anything they might feel would apply to them (I might work on a post about this topic too), if they care enough about our relationship. I will also make an effort to approach them. I think this is why I have my personal Facebook page and my “Little Bs” Facebook page. Some people just don’t want to hear about it or deal with it. I get it. Who would? I also post things sometimes that I find incredibly personal and think people will have a lot to contribute to the conversation and it doesn’t happen. That’s disappointing for me because that is one of the reasons I write my blog. Or, I’ll see that a lot of people have read something I have written and not “liked” or commented on it. Who knows why? It’s hard not to take personally. Cancer is so personal for us. Carrie, I know what you mean about keeping both pages separate. This option does work better for me. I don’t have to share my posts on my personal page but if anyone is interested enough, they’ll simply follow my other page or come to my blog. I don’t want to set myself up for disappointments. I am just glad we are not completely alone. Excellent post, Rebecca. I think the public at large doesn’t want to acknowledge something that is so scary to them: cancer. Like you, I share the fear of metastasis. Scares me to the core.